We initially tested the free version and we were so impressed that we decided to purchase the paid version and review the paid version instead. We are not disappointed as clearly evidenced by the 7 winning lottery tickets! 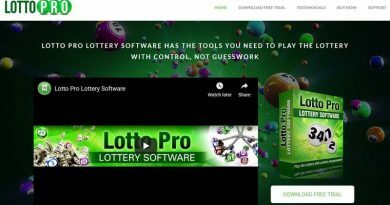 With the immense coverage of lottery games worldwide and excellent support, we strongly recommend you to take a look at Magayo Lotto software! We downloaded, installed, comprehensively reviewed and tested Magayo Lotto Version 5.6.1.11 (released on 23 December 2018). Magayo Lotto can be downloaded from Magayo website and it is available in 4 languages – English, Spanish, Portuguese and Simplified Chinese. 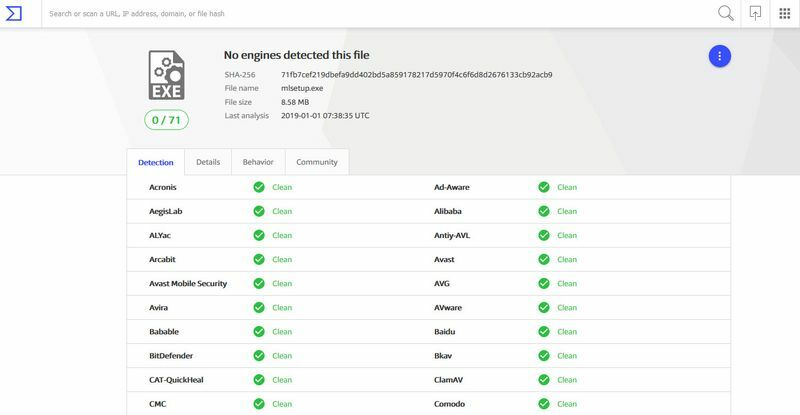 A scan at VirusTotal shows that the installation file is clean. Prior to installing Magayo Lotto, you are required to install Java 8. The Magayo website provides a good documentation on how to install Java 8 correctly. 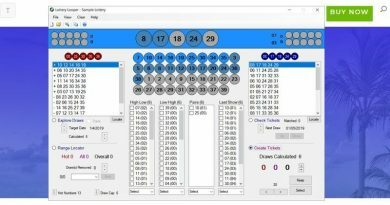 Magayo Lotto software is available in both 32-bit and 64-bit and it will automatically detect if you are using the 32-bit Windows or 64-bit Windows during the installation, which went smoothly. 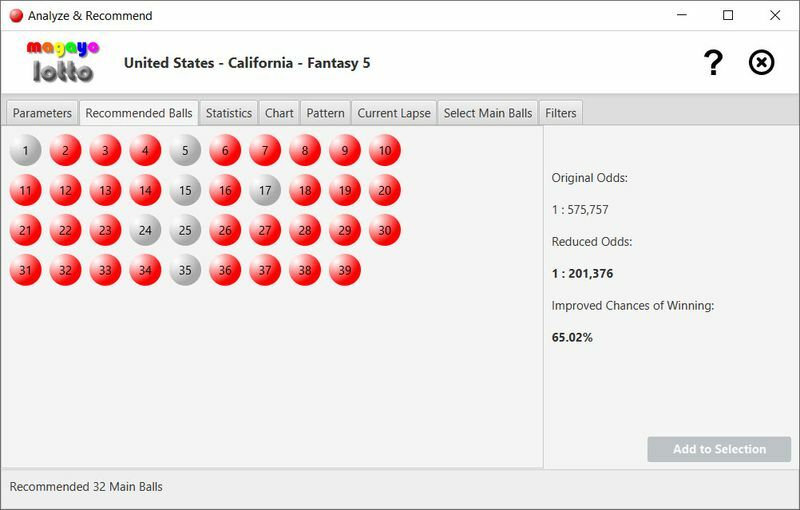 This lottery software is very well designed and looks aesthetically pleasing. 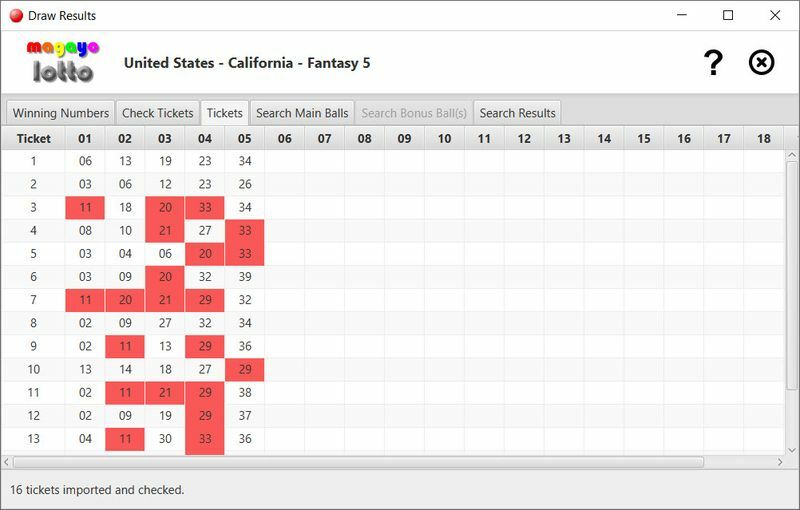 It is also very easy to use and we selected the California Fantasy 5 game. All fields and information in every function of the software are spaced out neatly. Many statistics and graphical charts are provided with key metrics clearly shown and highlighted. What we like best about Magayo Lotto is that it can intelligently predict the numbers to play in the next draw. This is a reduced set of numbers from the full ball range thereby improving your chances of winning. 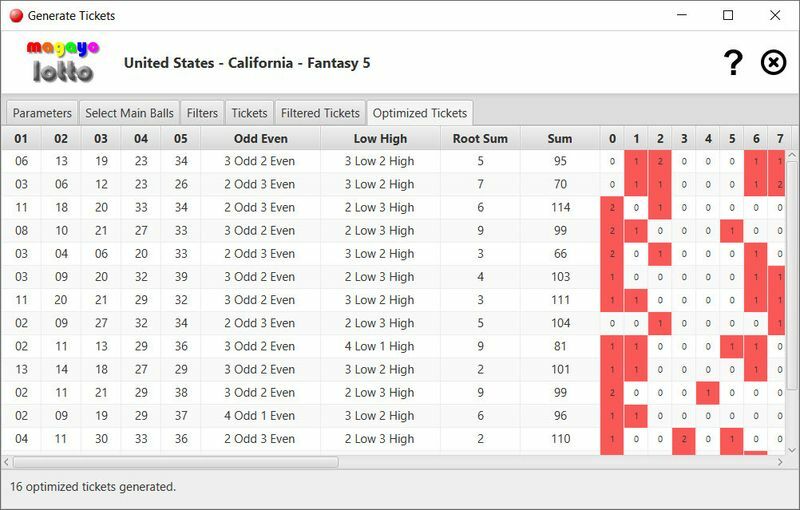 Based on this reduced set of numbers, we easily generated 16 tickets for the next Fantasy 5 draw. Magayo Lotto can also produced the tickets using abbreviated lottery wheels but we did not use this feature as the number of tickets can be quite high. There is no print function but you can save the tickets to a text file, which we did. We further tested uninstalling the software and the uninstall is clean. 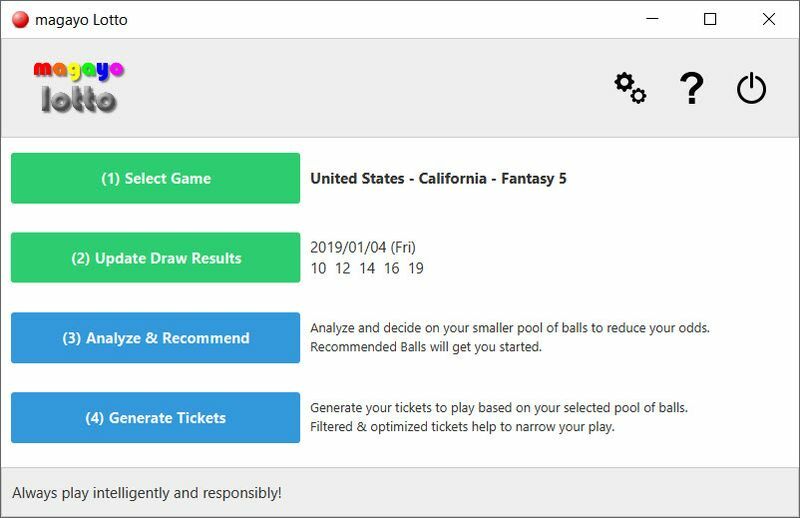 We checked the 16 lottery tickets produced by Magayo Lotto for the California Fantasy 5 draw on 5 January 2019. 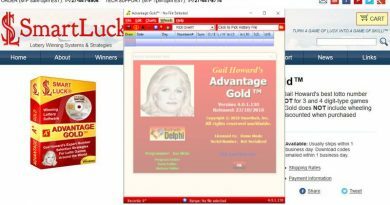 The software comes with a check ticket function where you simply import the tickets file that you have previously saved and any matching numbers are highlighted clearly. 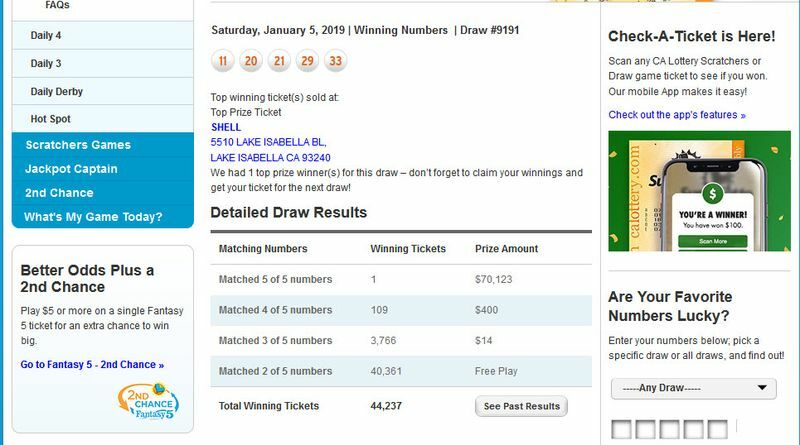 We were astonished to find 7 winning tickets – 1 ticket with 4 matching numbers, 2 tickets with 3 matching numbers and 4 with 2 matches! 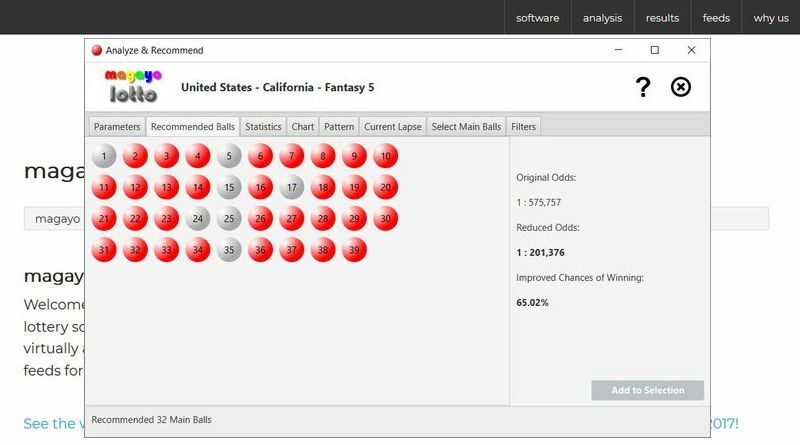 Magayo Lotto software is really amazingly accurate! Not only is Magayo Lotto accurate, it also comes preloaded with over 400 lottery games for many countries! This coverage is truly impressive! In addition, you need not manually enter the results after each draw. All you need to do is to click a button and the results will automatically be updated! 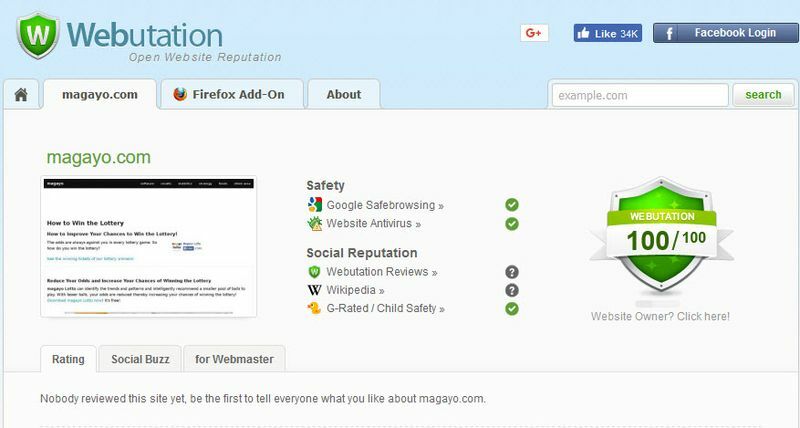 The Magayo website has a good reputation as checked with Webutation. From the version history in the Readme file as part of the installation, we noted that Magayo Lotto was first released in November 2010. There are constant updates throughout these years and the software is also digitally signed with a DigiCert code-signing certificate to prove its authenticity. 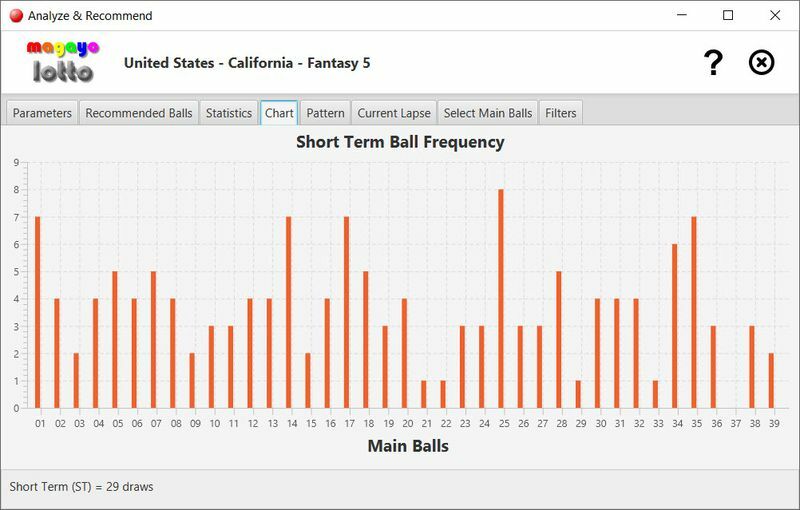 Magayo Lotto software is reasonably priced at $38.99 with no subscription or annual renewal. The free version has limited functionality which is explained in Magayo website. We contacted their support through the online form in their website and their support is excellent with a good, clear response within 6 hours.